Lebanon - President of the Republic, Michel Aoun, called on media outlets to play a constructive role in avoiding the dissemination of misleading news that distort the reality of the environmental situation in Lebanon. 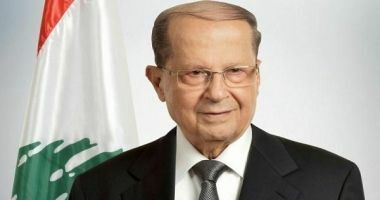 "Arbitrary circulation of accusations without fact-finding is not permissible," President Aoun was speaking on Monday during his meeting at Baabda Palace with Caretaker Tourism Minister Avedis Guidanian, in the presence of a delegation from the Maritime Institutions Association, led by Jean Beiruti. The delegation visited Aoun on the occasion of the election of the Association's new board members. Aoun underlined the essential role of media in consecrating freedom of opinion, yet stressing that "the ceiling of liberties is the truth.". On the other hand, Aoun met with former minister Mohsen Dalloul, with whom he held a tour d'horizon bearing on hour issues. 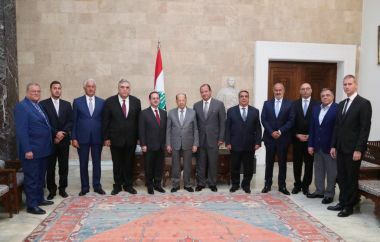 Dalloul said on emerging that he took up with the President the current situation in the Beqa district, in general, and Baalbek-Hermel, in particular, with both seeing eye to eye on the need to couple security measures undertaken by the Lebanese armed forces with developmental projects for the area. The President then met with a delegation of Armenian Catholic dignitaries in Lebanon, led by Archbishop George Assadourian.